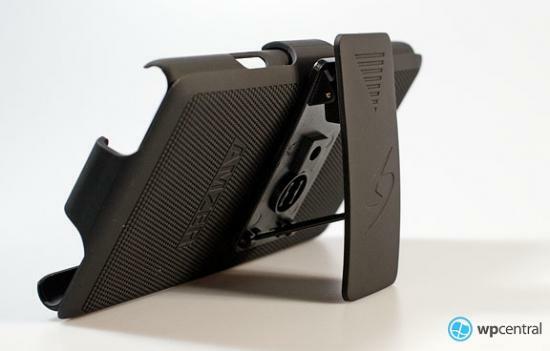 The Deal of the Week at the Windows Phone Central store this time around is the Amzer Shellster case + holster combo for the Lumia 900. Normally priced at $19.95 the case got a 50% discount for $9.95 this week only. Luckily we’ve had the case for a few weeks now and can share our thoughts on it. Check out our video review above and some photos and our mini-review after the break or read our earlier, full-review here. In short, we really like it. For one, it’s super thin. 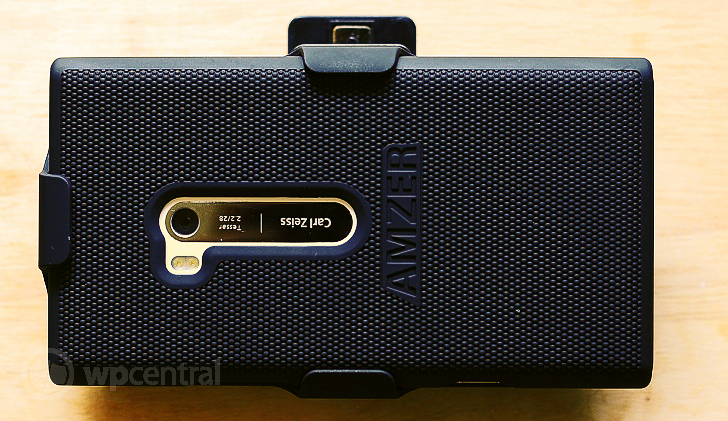 Adding virtually no girth to the device nor weight, this is the kind of case that most Lumia 900 users can get behind as you’ll barely notice it on your phone. The Shellster case has a rubber feel but is solid with a very grippy back for easy handling (and so it won’t slide when placed on a slippery surface). Once the case is snapped on it won’t budge and you’ll struggle slightly to remove it from the phone. We like that as we know there is no way this case will accidently come off our device. As far as protection goes, it has a nice lip on the top and bottom to protect the phone edges and it should absorb some of the shock should it fall from your hands. While far from an OtterBox, we think the level or protection is quite good for most casual users. The accompanying holster is also well built. It has a sturdy, rotating belt clip that won’t swivel accidentally when in place which is a good sign. The phone faces inwards to protect the screen with a felt lining to make sure the screen never scratches. Finally, the phone effortlessly slides in and out with one handed access. The fit is snug and not loose so we won’t worry about it sliding out accidentally. For $20 the case is still a solid buy. For $10 it’s a steal. 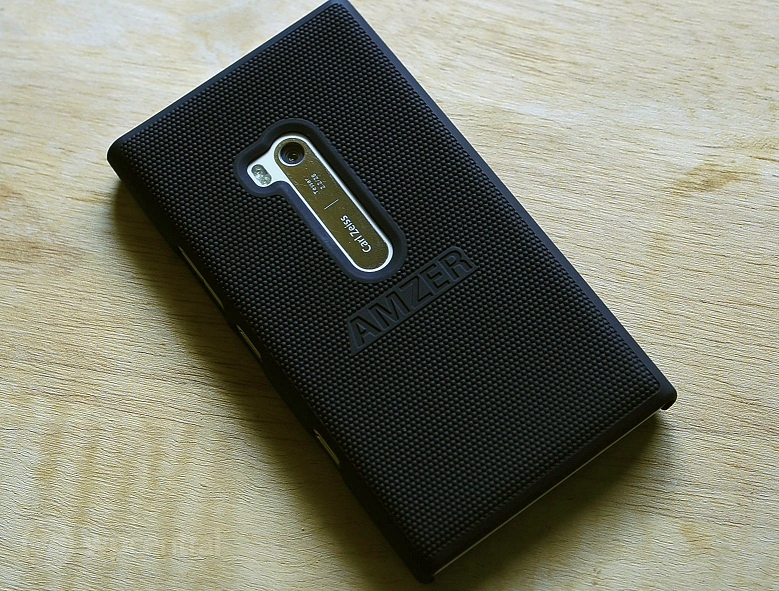 It’s well built, thin, firm and adds some great grip to the Lumia 900 without bulking it up. It’s elegant enough to wear with pants or casual enough for shorts. Head here to our store to pick up the case for $9.95 and yes, we ship internationally. Already have the case? Tell us if we’re wrong or not in comments and help out your fellow Windows Phone users!